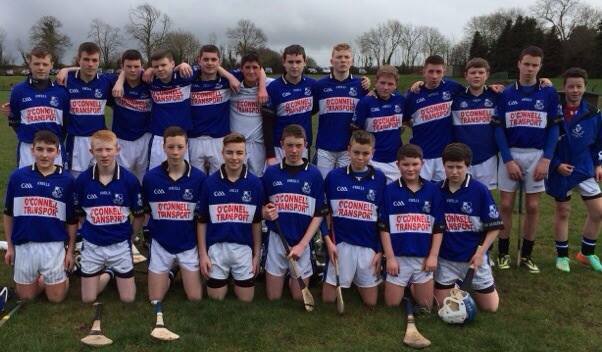 Sarsfield’s U15’s have made it 4 wins from 4 in the league, overcoming Blarney today, 02/05/16, at Riverstown. Blarney, also unbeaten in the league started strongly, and with the wind behind them, were the first on the score board with a point from free. It would be the sixth minute before Sars finally got on the score board, but it was a cracker of a goal from Jack Sparrow, his first of three first half goals, that set them on their way. David Murphy was the other Sars player to get on the score board in the first half, scoring 4 points, two of them from play. The half finished on a scoreline 3:4 to 0:7. Blarney were again the team that started the second half more brightly, and were the first on the scoreboard with another point, but it would prove to be there last score. 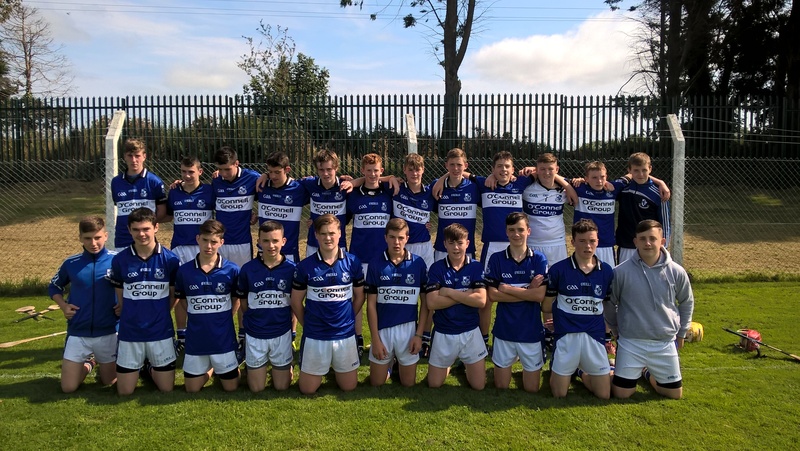 Sars seemed to lift their game another gear, and the scores started to come from all over the pitch; Ben O’Driscoll, (0:2), Oisin Dennehy, (0:1), Daniel Hogan, (1:1), David Hyde, (0:1), Thomas Lonergan, (0:1), and Fionn Barry, (1:0). Defensively, Donnacha McCarthy in goal, Cian O’Donovan, Cian Looney and David Shanahan, were rock solid, breaking down the Blarney attacks with ease. The game finished on a scoreline of 5:10 to 0:8, with a break for 8 weeks before resumption of the league. 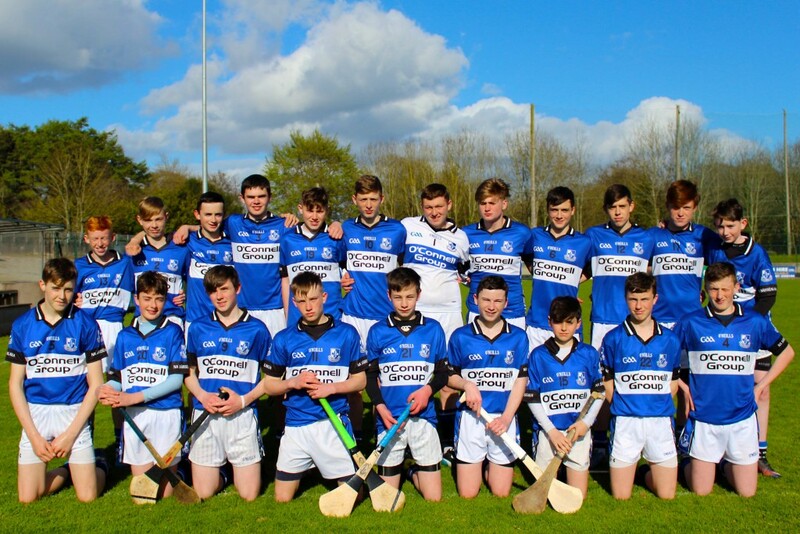 Sarsfield U15’s faced the Glen in their third league outing of the 2016 season on 21/04/16. Having faced a Kerry Development squad in the first round under lights at Riverstown on the 08/04/16, and winning on a scoreline of 1:09 to 1:06, they then faced Middleton, also at Riverstown, in a thrilling encounter, overcoming their opponents 2:13 to 0:11. Sarsfields first away match of the season ended up being a hard fought encounter. It was a nervy start for Sarsfield and in the first 5 minutes had two wides from play, to the Glens two points from play. However David Murphy eventually got Sarsfields onto the scoreboard with a finely taken free in the 6th minute. Both teams traded scores throughout the first half, with the Glen shading it at half-time on a scoreline 0:09 to Sarsfieds 0:05. Sarsfields got off to a blistering start in the second half with Thomas Lonergan getting a beautiful point from the off followed by a brilliant goal from the hard working David Murphy. With the scores level again, both teams traded points in a ding-dong, fast paced match. It wasn’t until the 12th minute when Sarsfield put 5 points on the scoreboard without reply; David Murphy (2), Michael Funchion, Thomas Lonergan and Ben O’Driscoll, that a gap opened up between the two teams. However the Glen weren’t ready to give up and continued to push forward, keeping the match very competitive ‘till the final whistle. Great defending by David Shanahan, Conor Murphy, Cian Looney, Cian O’Donovan and Brian Lagrue helped seal victory in the end. Final score: Glen 0:16 Sarsfields 1:16. Scorers: David Murphy (1:09), Thomas Lonergan (0:03), Michael Function (0:1), Jack Sparrow (0:1), Ben O’Driscoll (0:1), Oisin Dennehy (0:1). Sarsfield Team: Donnacha McCarthy, David Shanahan, Cian Looney, Cian O’Donovan, Jack Leahy, Conor McCarthy, Brian Lagrue, David Mulcahy, Thomas Lonergan, David Murphy, Ben O’Driscoll, Oisin Dennehy David Hyde, Jack Sparow, Michael Function. Jack Darcy, Rory Barry, Fionn Barry, Ryan McCarthy, Cian Barry, Ryan Anders Leech. Thanks to all who have registered already – if you didn’t manage to make it to either of the Registration days then Registration Forms are available for download in the menu above. Please complete and return to your Head Coach. Thanks.